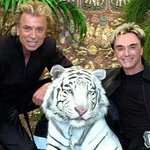 Famed illusionists Siegfried & Roy made their return to the stage in Las Vegas on Saturday, February 28. The duo performed a 15 minute show at the Keep Memory Alive Foundation’s “Power of Love” gala to benefit the Lou Ruvo Brain Institute (LRBI) in Las Vegas. The show was the first time the pair has appeared on stage since Horn was mauled by a tiger during a show in 2003. The tiger, Montecore, also appeared with the magicians during their show on Saturday. Among the stars who paid up to $75,000 for a table at the dinner and show were Hilary Duff, Danny DeVito, Teri Hatcher and Steve Schirripa. As Look To The Stars reported last year, the Lou Ruvo Brain Institute has been under construction since 2007. 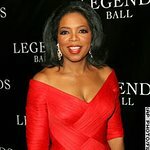 It will aim to provide the most current research and scientific information for the prevention, early detection, treatment, education, and support of memory disorders and neurodegenerative dementia diseases. LRBI plans to “house the world’s most powerful brain doctors”, and predicts that the cure for Alzheimer’s, Parkinson’s, Huntington’s, and Lou Gehrig’s disease will be discovered there.